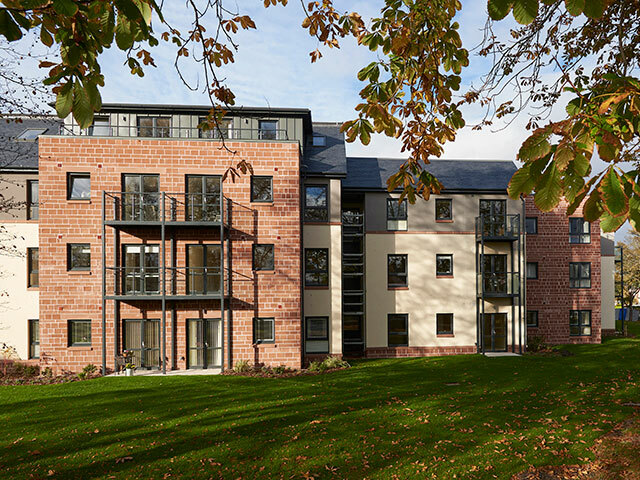 Sitting in a beautiful, leafy area in one of Scotland’s largest cities, Oakwood Court is the latest development from McCarthy & Stone. 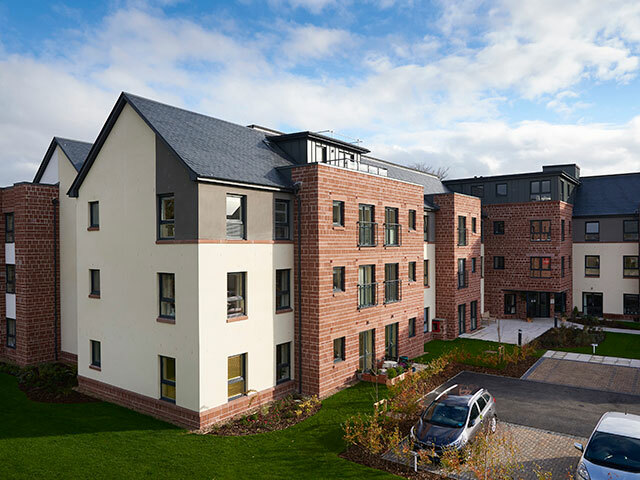 Providing retirement living accommodation in a relaxing, landscaped setting, the development aims to combine impeccable style with all the comforts of a managed property. 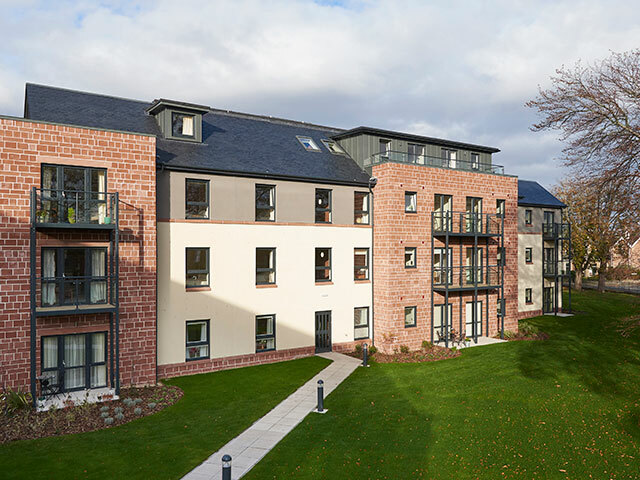 Designed by LDN Architects of Forres near Inverness, as part of a wider masterplan at the former UHI Midmills Campus, the development of 53 purpose-built one and two-bedroom apartments benefits from proximity to Inverness city centre and its wealth of amenities. The wider masterplan sees the former campus reformed with new residential developments, and a new creative hub within a category A listed building. The redevelopment of the campus has allowed for the site to be opened up to the public, with improved sightlines and visual amenity, improved connections to the city centre, and increased green space. 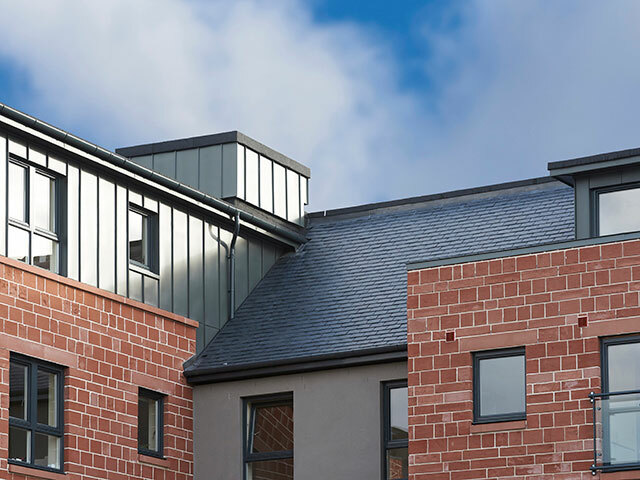 LDN needed to meet two planning challenges for the development; building within the Crown Conservation Area of Inverness and creating complementary aesthetics for a project which is adjacent to Category A listed buildings. 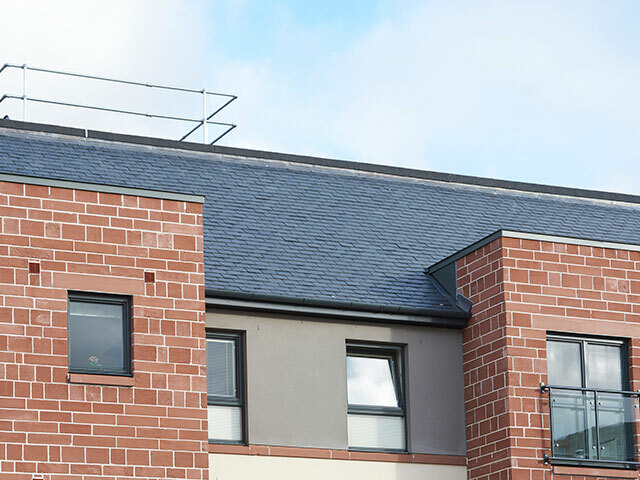 Based on previous experience with the product, LDN specified SIGA 35 as its blue-grey colour and heavy texture provide a close match for Scottish slates. 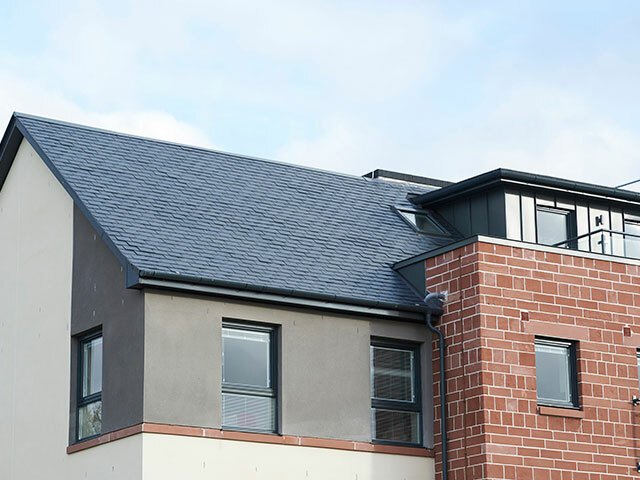 Award winning, Pinnacle Roofing of Roslin installed some 40,000 400mm x 250 mm slates to the 1400m2 roof.